Last night, November 16, 2015, aboard the International Space Station astronaut Scott Kelly tweeted this photo. 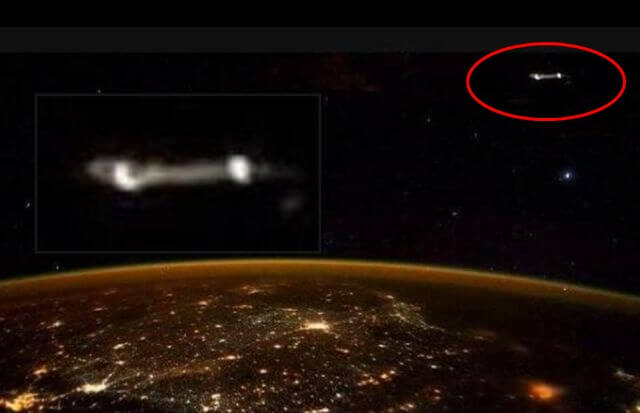 The photo was taken while the International Space Station was over India. In the upper right of the photo you can clearly see a UFO which appears to be very large and constructed.